All the accommodation buildings have modern facilities, underfloor heating, shower & WC in each room. A large green garden surrounds the buildings. The breakfast is substantial and varied, consists of cold and warm dishes, fresh pasteries and freshly made coffee. Sitting furniture and barbeque equipment are available right outside the house. The sauna house and barbeque hut are available for all our guests. 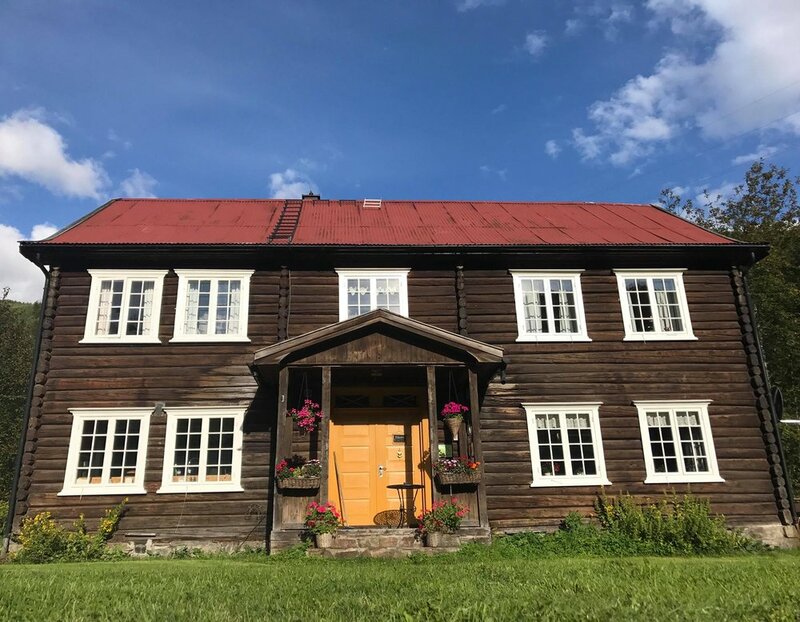 The main house consists of - upstairs 3 rooms and 2 bath rooms, downstairs a living room with authentic timber walls, a fire place, antique decorations and a farm kitchen. The breakfast buffet will be served in this building. Double room / Family room w. private bathroom. Total capacity: 5 persons. Located in an old house from the 1850s, this country-style room features hand-crafted woodwork and a sitting area. The owner’s great grand mother used to run a post office in this room. This room has three windows which makes it a bright room with an uplifted atmosphere. The room comes with a private spacious bathroom and a wardrobe closet. Bed linen and towels are included in the price, as well as the breakfast. The varied breakfast buffet will be served in the 1st floor of this building. There is an adjoining room with two extra beds (90-130 cm) for a total occupancy of up to 4 people. There is a door between these two rooms, which makes it the perfect choice for 2 parents and 2 children that want to stay in the same unit. BEDS | One double bed. One antique bed suitable for 1-2 children (bco the length). An extra room with a door that separates them, with two twin beds. SUITABLE FOR | A couple. A family of four. PRICES | Double NOK 1170. Single NOK 925. INCLUDED | Ready-made beds, set of towels and breakfast buffet included. Double room / Family room w. private bathroom. Total capacity: 4-5 persons. BEDS | One double bed: 2 persons. Family room (two extra twin beds): 4 persons. SUITABLE FOR | Couples or a family of 4 persons. A newly built house, with modern decor. Total capacity: 4 persons. These rooms both have their own private spacious bathroom, and an electric water boiler with instant coffee and a selection of teas. The sauna house and the barbecue hut is right outside the house, as well as the large green lawn. If the weather allows for it, there are tables and chairs available right outside the cottage with a view towards the little pond with ducks. Bed linen and towels are included in the price. These rooms are WiFi-free, you are however welcome to use the common area in the main house with WiFi, a unique and cozy fireplace, tables and chairs for work / office / business. BEDS | Room 1: Two twin beds. Room 2: Three twin beds. SUITABLE FOR | Group of 4-5 persons. PRICES | Single NOK 925. Double NOK 1170. Triple room NOK 1570. In this unit we allow you to bring your dog, as long as it does not stay in the beds. Three-room cottage in an old rebuilt timberbarn from 1700. This is a charming cabin/apartment with three rooms with private bathrooms. It has visible timber walls of strong pinetree in the living room, a nice fire place which really creates a magic atmosphere, stone floor in the living room and kitchen. The kitchen has all facilities and equipment, also wine glasses. The three bed rooms have all wooden floors, two beds with good matrasses and a drawer. A small modern bath room to each bed room. Heating in the floor. This unit comes with a kitchen equipped with a fridge, freezer, dishwasher and coffee machine, as well as a living room with an open fireplace and firewood. Guests can enjoy their meals in front of the fire place. If the weather allows for it, there are tables and chairs available right outside the cottage. BEDS | Room 1: Two twin beds. Room 2: Two twin beds. Room 3: Three twin beds. SUITABLE FOR | Three couples OR Family / group of 7 persons that would like to stay on self-catering. PRICES | 2 persons NOK 1250. 3 persons NOK 1350. 4 persons NOK 1450. 5 persons NOK 1550. 6-7 persons NOK 1650. INCLUDED | Ready-made beds, set of towels and breakfast buffet are not included in the price. It is possible to request ready-made beds in advance for 150 NOK. 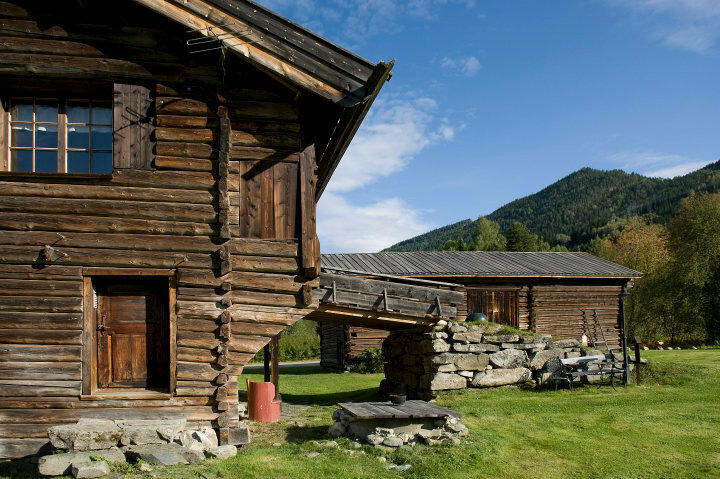 You can also choose to rent bed linen and a towel set for 90 NOK, or bring your own. You are also welcome to order breakfast for an additional cost of 150 NOK. The breakfast at Sevletunet is known for its variety and quality. Local specialities, eggs in all shapes and forms, porridge, pancakes, juices - and of course freshly made coffee to get you ready for the day. The hostess will gladly tell you about the farm history and the famous and exciting story about "Sevleguten" (the Sevle boy) that lived on this farm many years ago and suffered a tragic destiny.